Forgotten Hollywood » Blog Archive » “Forgotten Hollywood”- To Kill a Mockingbird an eBook! « “Forgotten Hollywood”- Musicals on Television All the Rage! “Forgotten Hollywood”- To Kill a Mockingbird an eBook! Harper Lee has agreed for To Kill a Mockingbird to be made available as an eBook and digital audiobook, finally filling one of the biggest gaps in the digital library. The Pulitzer Prize-winning novel will be released digitally on July 8th. With digital holdouts from JK Rowling to Ray Bradbury changing their minds over the past few years, Harper Lee’s novel had ranked with JD Salinger’s Catcher in the Rye as a missing prize for eBook readers. Other works still unavailable as eBooks include The Autobiography of Malcolm X and Gabriel García Márquez’s One Hundred Years of Solitude. 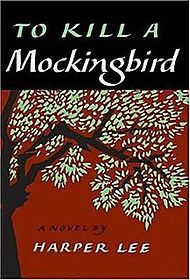 First published in July 1960, Mockingbird has sold more than 30m copies worldwide, and that total is climbing by more than 1m copies a year, according to HarperCollins. Lee never published another book, which only seemed to add to the novel’s appeal. For decades she has resisted interviews and public appearances. She turned 88 on Monday and lives in her native Alabama. It was adapted into a 1962 motion picture that featured an Oscar-winning performance by Gregory Peck as Atticus Finch, the courageous Alabama attorney who passionately defends a black man against charges that he raped a white woman. The eBook will be published by Cornerstone in the UK. The audiobook will become a downloadable edition of the existing CD narrated by Sissy Spacek. This entry was posted on Tuesday, April 29th, 2014 at 12:22 am	and is filed under Blog by Manny Pacheco. You can follow any comments to this post through the RSS 2.0 feed. Responses are currently closed, but you can trackback from your own site.